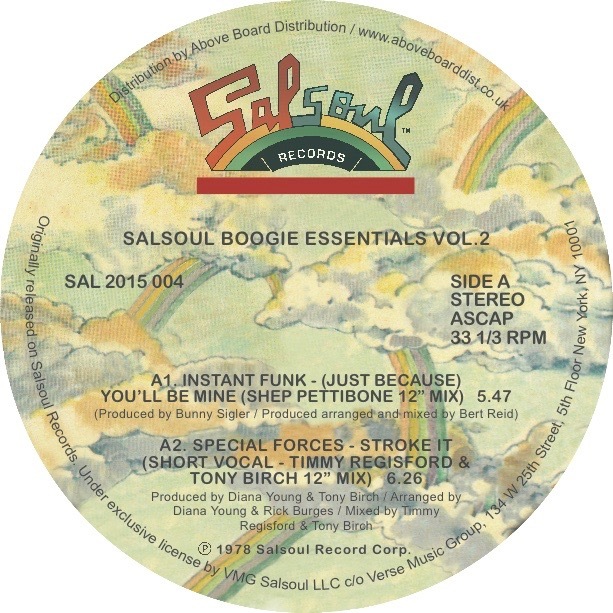 "Salsoul Boogie Essentials vol. 2" the second part a new series from the seminal NYC label... specialising in all things BOOGIE! This time we have 5 wonderful timeless tracks from ; Instant Funk "(Just Because) You''ll Be Mine", Special Forces "Stroke It", Vaughan Mason & Butch Dayo "You Can Do It", The Jammers "What Have You Got To Loose" and The Salsoul Orchestra "Take Some Time Out (For Love)".